Samantha Adkins has spent the last year struggling to survive in a world overrun with zombies. With her father and a small band of survivors, she kept one step ahead of danger. Until the day Sami is bitten. Soon the group moves on, leaving Sami's father Evan to watch his child die of the infection. Yet Sami miraculously recovers, only to realize she is no longer human and must learn to control the new hunger inside her.Back on the road, Sami and Evan are pushed off course and into an area of the country dubbed the badlands. 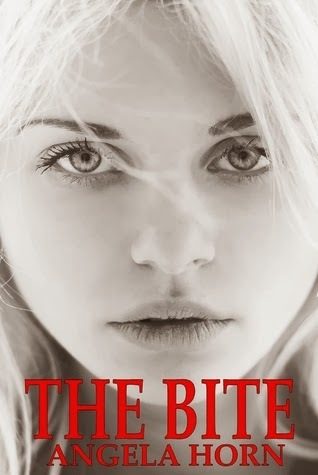 In a world infested with zombies, Sami and her father quickly discover the walking dead aren't the only monsters rising. As I sit here staring at my screen, two different reviews are trying to come out.. both for the same book. One for the novel as a whole and one specifically for the "paranormal"/"zombie" aspect of this novel. Neither one is bad per-say, but one is probably a little better than the other. On the whole, I think this was one of the better "indie" novels that I've read. The characters were well developed, and didn't fall into any particular "molds". The story telling was smooth, and detailed enough that you could picture the people and their world as you went through it with them. There were even a couple of scenes dedicated to the "other side" of humanity that is rarely touched on in these types of books.. you know.. the scenes where other humans are just as bad as the monsters they are hiding from. I loved the scenes between Sami and her father. You get a real sense of how deep their bond is, and you know without a doubt that they would do anything to ensure the other was safe. Even with that bond and knowing they would always put each other first, they still opened their ranks up to "new" people after being separated from their initial group, trying to save them even when the odds were stacked against them. All of the characters seemed to be well fleshed out, even if Leo did seem to be written as though he were younger than Sami and not older. Now on to the "other" aspect of this book. I'm not really sure if I should be calling it the "zombie" aspect as there are those, or the "paranormal" aspect as there was some of that too, but I found that once the author went away from just zombies and started adding other "monsters" that the book became very confusing and it took away from the overall book instead of adding to it. Some of the characters were confusing too, such as Bellamy, who called herself Death. Things that she could do, and things that happened to her, while some were awesome, did not make any sense and left me feeling like the author really didn't know where she was going with it all. Overall, I enjoyed this book, and if zombies are your thing, then you should enjoy it as well!